This is not an April Fool’s joke: Marshmallow is here for the Verizon Galaxy S6 and S6 Edge. Lollipop was nice and all, but it’s about time you get the newest version of Google’s operating system. As for other updates, it was a good week for those with phones from startups: the Nextbit Robin and OnePlus 2. Galaxy S6: Your long sojourn to Marshmallow is over. Android 6.0.1 is ready, which includes Google Now on Tap, Doze, and all the other treats that come with the newest version of Android. Verizon says you’ll need to be connected to Wi-Fi for the hefty update. 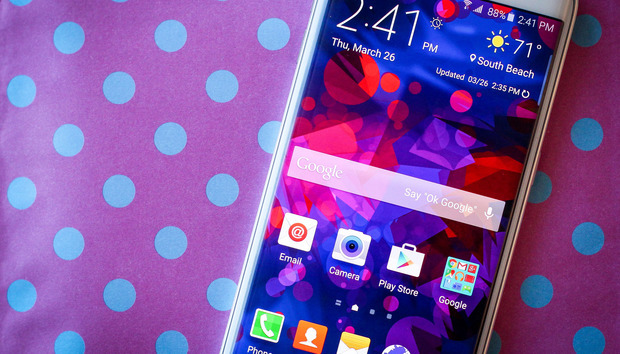 Galaxy S6 Edge: The same joy is to be had on the Edge model. Look for Android 6.0.1 and the other nifty features to be found with Marshmallow. Verizon says the same drill applies here: connect to Wi-Fi for the over-the-air update. Robin: As the first phone from the upstart Nextbit, there’s bound to be a few bugs. Nextbit announced several performance improvements are coming in the April update, with a pledge for improved benchmarks, battery life, camera performance, speaker quality, and the efficiency of the Snapdragon processor. You’ll also get a bump to Android 6.0.1, which also includes the newest emoji. OnePlus 2: If you’re willing to install a beta build, you can have Marshmallow right now. It’s wrapped into OxygenOS 3.0, which is the company’s custom software for its flagship device. You can grab the “community build” directly from OnePlus, though definitely expect some bumps and bruises.